Zero Gravity Massage is the massage of the future. But why wait? The first location of its kind is now earning 5 star Yelp reviews at Town Square Las Vegas. 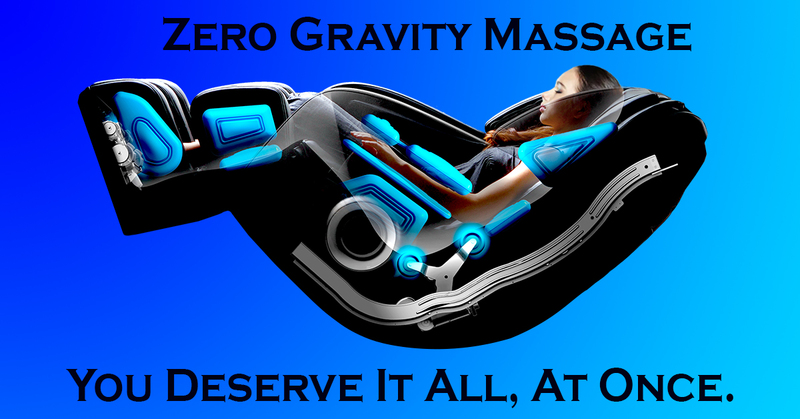 The Zero Gravity Vegas Massage Chair is no ordinary #massagechair. This is the only chair capable of massaging even the tallest people from neck to glutes with real, kneading techniques. And the feet...oh my goodness the feet massage, simultaneously as the rest is happening, is beyond compare. If that wasn't enough, it gets even better with compressions? Shoulders, hips, calves, arms and feet all receive fluctuating squeezes that leaves you wondering how you ever received bodywork without it. Did you know we have a Free Trial? Here is a short video with Eve explaining what she enjoys about the Zero Gravity Vegas Massage Chair experience. How do I book a massage at Massage Vegas? Simply walk-in. We have 16 chairs available 7 days a week to serve you. Where is Massage Vegas located? We are located at the beautiful Town Square Las Vegas on S. Las Vegas Blvd and Sunset. Behind California Pizza Kitchen. Across from Victoria's Secret Pink. What are the hours at Massage Vegas? We are open daily 10am to 10pm with the exception of Sunday when we open at 11am. How much is each massage? So it's "just" a chair? No! It's trained staff that programs the chair and is always nearby to adjust the massage to your desired areas of focus and strength. We use padding under feet and back to reduce intensity to a comfortable pressure. The last chair I was in hurt. 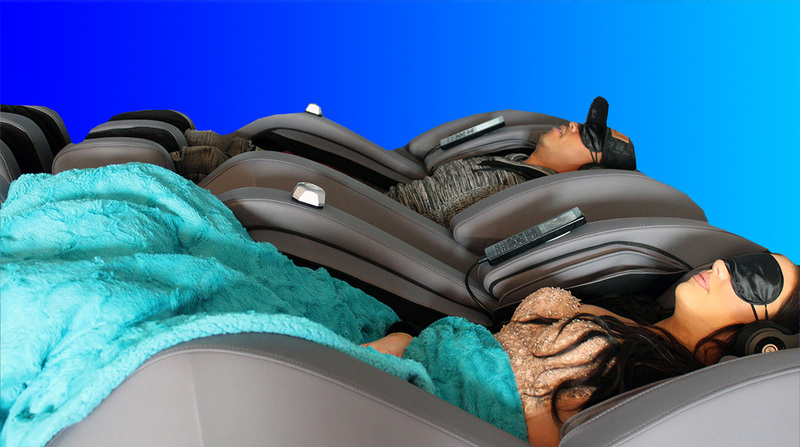 What sets Massage Vegas and the Vegas Massage Chair apart from a typical airport massage chair, Brookstone massage chair, or "mall" massage chair is that we provide custom programming, padding and monitoring throughout your experience to ensure you remain safe and comfortable. There will be a moment of discomfort within any massage. That same moment will not be as uncomfortable in minute 33 as it is in minute 3. That being said, we are quick to turn off and adjust to your satisfaction at all times. We even have a built-in call button to notify us instantly of your requests. What does the Vegas Massage Chair do better than a person? The Vegas Massage Chair never gets tired. The massage pressure and depth will be the same at minute 1 as it is at minute 59. If you are the 1st massage of the day or the last, you can always count on consistent quality. It will not smell like smoke or perfume/cologne. It will not ever be bothered when you ask it to do specific areas or make many adjustments to the massage routine. And you can count on every following session being identical in quality and consistency to the last (unless you choose to adjust it). How does a Monthly Plan of Massages at A Discount sound? Request a "Discount Massage Plan". Watch this animated video giving you an inside look of the Zero Gravity Vegas Massage Chair.